The rights and responsibilities of tenants and landlords in the United Kingdom are governed by a complex framework, with which our housing lawyers in North East England are familiar. Whatever issues you may be facing, please feel free to call and ask our team for advice and assistance at any time. We act for both Tenants and Landlords across the North East of England at all levels providing practical advice and assistance. Legal Aid is still available for many housing matters. For a free initial consultation over the phone please call 0191 275 2626 to speak to a housing solicitor in North East England. Cannot afford rent with just housing benefit. Is there help? It can be hard work being a landlord. The law, rights and responsibilities are complicated and frequently changing. Our team of specialist Housing solicitors are here for you. We can advise you on the legal requirements when a tenancy first begins, including the law about tenancy deposits, through to the requirements when you want to end a tenancy. If you need expert advice on how to obtain possession of your property then we can help. Whether it’s rent arrears, problem tenants or any other reason we can advise you on your rights of possession and how to get it. The procedure is often complicated and mistakes can be costly in both time and money. We can advise you on how to take the quickest course of action and can represent you in court proceedings when necessary. If you are facing a claim against you by a tenant then we can also assist. Timely advice at the very beginning of a legal claim can reap huge savings later down the line. So if your tenant says you’ve unlawfully evicted them or if they say there’s disrepair, we’re here to give expert guidance and represent your interests. We also offer competitive fixed fees where possible – ask about our fixed fee packages for service of notices, possession claims and applications for warrants. If you are looking for a housing lawyer in North East England to provide you with accurate advice and guidance regarding your legal rights as a tenant, and to assist you in the event that you need to go to court to protect your rights, our team will be delighted to be of service. In addition to providing local tenants with first-class legal representation at affordable rates we also have a Legal Aid contract which means we can help tenants who are unable to pay their own legal costs. Among the legal issues covered by legal aid that our housing solicitors can help with include:. We also offer competitive fixed fees, and in some matters conditional fee arrangements for those clients who do not qualify for Legal Aid or for those with housing problems which are no longer covered by Legal Aid. 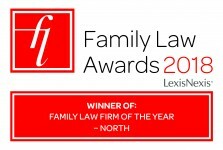 Why Choose our Housing Lawyers in North East England? 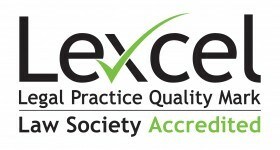 At Ben Hoare Bell LLP we have a team of legal experts who have experience of achieving good outcomes for our clients. We prioritise honest which is why we explain the potential costs involved with your case as well as the realistic outcomes from the beginning. We understand that fighting a case can be a stressful experience, which is why we have your back from start to finish.